Born in Denver, Colorado on May 18, 1925 and raised in Idaho towns with train depots (Wapai, Orchard, Kimima, Dietrick), Blaser was encouraged in the arts by his maternal grandmother who financed his education. Attending Berkeley he met poets Robert Duncan and Jack Spicer. He began his own poetry career in 1955 when he accepted a position at the Widener Library at Harvard upon his graduation from Berkeley. Some of his earliest preserved poems would appear in The Holy Forest almost 30 years later. Blaser left Boston in 1959 to accompany his partner, biochemist James Felts, back to the West Coast until they separated in 1962. In the early 1960s he began a prolonged sexual relationship with Stan Persky. Blaser had a literary quarrel with his old friend Duncan, and lost his former friend, Spicer, who he had met in 1946, to alcoholism in 1965. As one of the key figures in the so-called San Francisco Renaissance, he oversaw the publication of the Collected Works of Jack Spicer in 1975. Due to connections with Ellen and Warren Tallman, Blaser was attracted to the poetry scene of Vancouver and accepted a teaching position at Simon Fraser University in 1966 when that university was only one year old. He became a Canadian citizen in 1972 and remained teaching English until his retirement in 1986. In Vancouver, Blaser influenced numerous writers such as Stan Persky, Brian Fawcett, George Bowering, Sharon Thesen, Phyllis Webb and Karl Siegler. His own modernist writing appeared in Pell Mell and Syntax in which he wrote, "Art is madness" and "the truth is laughter." With the late Robert Dunham, Blaser co-edited Art and Reality: A Casebook for Concern, which documents an international SFU conference held in 1982. In 1995, to mark his seventieth birthday, a conference called Recovery of the Public World was staged in Vancouver. 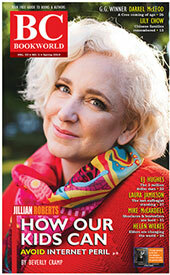 A year later The Capilano/Review devoted its Winter/Spring issue in 1996 to his honour. The conference proceedings were published by Talonbooks in 1999. Blaser also wrote the libretto for an opera, The Last Supper, for music by composer Sir Harrison Bertwistle. It premiered in Berlin in 2000. In 2007, Robin Blaser, an Order of Canada recipient, received a Lifetime Recognition Award from the trustees of the Griffin Trust of Excellence in Poetry. In 2008, when his SFU associate George Bowering served as one of the three judges for the Griffin Poetry Prizes, Blaser's revised version of his serial poem, The Holy Forest (University of California Press, 2006), won the Canadian Griffin Prize. According to publicity materials for the book, "Blaser's passion for world making draws inspiration from the major poets and philosophers of our time-from friends and peers such as Robert Duncan, Jack Spicer, Charles Olson, Charles Bernstein, and Steve McCaffery to virtual companions in thought such as Hannah Arendt, Maurice Merleau-Ponty, Michel Foucault, and Jacques Derrida, among others." He died on May 7, 2009, in Vancouver. Apparitors. San Francisco: Auerhahn P, 1963. The Moth Poem. San Francisco: Open Space, 1964. Cups. San Francisco: Four Seasons Foundation, 1968. Suddenly. Vancouver: Cobblestone Press, 1975. Harp Trees. Vancouver: Vancouver: Sun Stone House & Cobblestone Press, 1977. Of is the word love without the initial consonant . . .: Contemporary Broadsides No.1. Vancouver: Slug Press, 1979. The Faerie Queene & The Park. Vancouver: Fissure Books, 1987. Honestas. Buffalo: Poetry/Rare Book Collection, State U of New York, l987. Pell Mell. Coach House Press, 1988. The Holy Forest. Coach House Press, 1993; revised and expanded, University of California Press, 2006. "Robin Blaser was a key figure in the San Francisco Renaissance in the late 50s. He came to prominence, along with John Ashbery, Robert Duncan, Robert Creeley, and Jack Spicer, in Donald Allen's ground-breaking anthology The New American Poetry 1945-1960. In 1966, he took up a teaching post at the newly opened Simon Fraser University and is now Professor Emeritus. He became a Canadian citizen over 30 years ago. Poet, scholar and teacher, Blaser has been a mentor to writers, poets and intellectuals worldwide. He is the author of many books of poetry, mainly collected in The Holy Forest. A celebration of Blaser's work, The Recovery of the Public World: Essays on Poetics in Honour of Robin Blaser edited by Charles Watts and Edward Byrne, was published in 1998, following the international conference of the same name held in Vancouver. An opera lover, Blaser wrote the remarkable and acclaimed libretto for The Last Supper, created with Sir Harrison Birtwhistle, which premiered in Berlin (2001) and at Glyndebourne (2002). Most recently, Even on Sunday: Essays, Readings, and Archival Materials on the Poetry and Poetics of Robin Blaser, With New Work, edited by Miriam Nichols, was published by the National Poetry Foundation (2002)." THE BEST BOOK OF POETRY PUBLISHED BY a B.C. author in 1988 was Robin Blaser's Pell Mell (Coach House). Its exclusion from the list of nominees for the 1988 B.C. Book Prize in poetry is so unacceptable/ outrageous/ criminal that I'm impelled to at least make a claim for Pell Mell's importance publicly. I can, if need be, provide a list of a dozen prominent B.C. writers who will verify my claim. Yet, of the three B.C. poetry prize judges, only Barry McKinnon proposed Pell Mell be nominated. The other two judges, Leona Gom and Susan Musgrave, were, as near as I can tell from my investigations, unable to understand Blaser's poetry. I suppose the greater part of the blame rests with McKinnon for not insisting on its inclusion or, alternatively, resigning from the committee. Since Gom and Musgrave are both reputable poets, if incompetent judges, this isn't one of those problems easily remedied. All one can do is protest that the judges blew it. I'm not a great partisan of writing prizes, but since they exist, I've decided to take them seriously rather than succumbing to that form of despair known as cynicism. If we writers are not willing to fight for excellence then the provincial prizes will indeed become provincial in the most pejorative sense of that word. TORONTO, June 4, 2008 - John Ashbery's Notes from the Air: Selected Later Poems and Robin Blaser's The Holy Forest: Collected Poems of Robin Blaser are the International and Canadian winners of the eighth annual Griffin Poetry Prize. The C$100,000 Griffin Poetry Prize, the richest poetry prize in the world for a single volume of poetry, is divided between the two winners. The prize is for first edition books of poetry, including translations, published in English in 2007, and submitted from anywhere in the world. The awards ceremony was held in The Fermenting Cellar of The Stone Distillery and hosted by Scott Griffin, founder of the prize. Poet Paul Farley, shortlisted for the 2007 Griffin Poetry Prize, was the featured speaker. Judges George Bowering and James Lasdun announced the International and Canadian winners of the 2008 Griffin Poetry Prize. More than 400 guests celebrated the awards, among them, poets, publishers, and many literary and cultural luminaries, including Canada's former Governor General, the Right Honourable Adrienne Clarkson, authors Michael Ondaatje and Anne Michaels, and international poets Carolyn Forché, Robert Hass and Robin Robertson.